Well, at least Xenoblade X was able to crack 100K in about a month...hopefully strong word of mouth will help it keep selling just like the first Xenoblade...with a little luck, it can probably still reach 1 million globally at full price. I don't even think a million units of Xenoblade X will be manufactured worldwide. Much less shipped, or sold. Reading MC numbers nowadays feels like watching an old friend dying on a deathbed and I can't do nothing about it. This is depressing. The only shining light on that grim battlefield is the Vita outperforming my expectations. I'm astonished it's not been sat at 6-7k for the last couple of months. It's not like Konami is the only company transitioning to mobile, so it's kinda weird that this keeps being said. They're jut the ones who decided to make it a fiery spectacle. They should put a Rosalina amiibo in the game for the Wester version. In that case, I have a gut feeling a hero would save the day. An infamous hero, working in the dark to protect us. Is this some kind of slavery simulator? Goodness, what's it gonna take to shake things up over there? Good on the Witcher I guess. Something about Japanese population wondering if they're kids or squids, IMHO. The ship has pretty much sailed at this point. Most of the major traditional publishers are starting to have some good mobile success, so there's no reason for them to do a massive reinvestment in dedicated games to the extent it would take to majorly revive things. Unless you just mean what will it take to be better than this week, in which case you need some relevant software and it will go up a bit. Maybe games that the Japanese consumer base actually want to buy. Man, I was expecting Xenoblade X to do better than that. Both really. I guess this puts Konami's mobile comments into perspective. There must be a lot riding on the next few AAA Japanese releases. Mario Kart 8 about to hit 1 million, and Animal Crossing: New Leaf about to hit 4 million. EAD still owns Japan. Supposedly a new reveal at E3? Then there's Capcom with Street Fighter 5, Devil May Cry 5 being heavily rumored and Resident Evil 7 being inevitable. Dragon's Dogma Online might do decently as well. Level 5 also seems to have some things planned etc. MGSV is releasing soon too. So yeah, they had a slow start but once stuff like that starts releasing then things should pick up for PS4 at least somewhat in the region. New release with almost 70k units sold and still no noticeable jump for PS4 and in the 10k units territory, despite a rather low userbase, which normally makes spikes quite easy to achieve. 1.5M units is more than enough to support a 70k debut when the game is selling to the audience that has already bought into the system. Hope is a mistake. If you can't fix what's broken, you'll go insane. The problem is that this isn't nearly enough. Look at what the PS2 and PS3 accumulated over their lifetime in terms of games. At this point we're largely staring at what was profitable enough to keep going. Some of those are already changed to boot. Dragon's Dogma Online is an f2p game. This is before we get to you having to pad the list with a bunch of rumored titles and then that some of these aren't really that relevant in Japan like Street Fighter V.
Nice debut for The Witcher 3. Fair enough but I still think it's a good start and will obviously result in more after. It won't be anywhere near the old glory days of the PS2 though, of course. 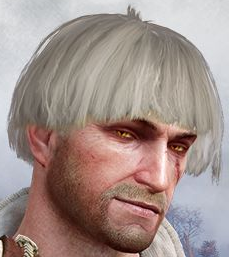 Good on Japan for The Witcher 3 debut. Everything else is looking pretty anemic. Obviously it won't be anywhere near the old glory days though. If they all sell very well, it'll probably result in more. If they fail to meet expectations in Japan, it will further validate the decision of the industry to diversify in Japan and to no longer prioritize traditional gaming as their core domestic business. I don't think there's much to worry about for stuff which has a large following internationally, those AAA games will still be made, but everything else? Maybe not. Japan-Gaf - Is PC an improving platform over there? Would seem the natural space for many gamers to go not looking for the mobile experience for their entire hobby and not enough content on consoles. PSV almost <10k despite new releases. 3DS also in a questionable state, starting with RhythmHeaven+ and white 3DS it will get to more healthy sales starting next month though. Witcher up top? Wow. Good for CDPR. I'd just like to add - good for Spike Chunsoft too. They seem to be having quite a few hits with localized titles (Terraria did very well for them too, iirc). There seems to be no solution to strengthen the dedicated gaming market; awful garbo numbers. This week drop wasn't so bad. Should be able to hit 300k at some point probably. This is what happens when you let the Dino Crisis franchise fail, this is on you Capcom. Nice The Witcher 3 numbers. There was talk about japenese games being localized to the west for more sales, but the opposite is also true in many cases it seems. Minecraft is the first Vita game which has had genuine legs. Stuff like Persona & Sword Art Online re-surfaced after their respective animes started airing but that's somewhat different. I have no doubt the game is what's causing Vita's baseline to stay above 10k. It's not much, but it's something - I was pretty worried it was going to tumble back below that figure pretty sharpish after Golden Week. Very surprised at Minecrafts legs. I do wonder how successful it would be on 3DS though. Terraria did amazingly well for Spike Chunsoft. They reported it did over 500k in Japan across PS3, PSV, PS4 and iOS. That's probably why they went after Hotline Miami and other western indie games alongside developing stuff like the One Way Heroics remakes. This really hurts. I've been unwilling to admit that Japan has problems for a while now, but guys... Japan has some problems. Splatoon will save the Japanese market. Minecraft is the first Vita game which has had genuine legs. You know gaming is dying when Minecraft still sells way more than anything else. We're seeing "legs" for a bunch of titles that we wouldn't have a year or 2 ago due to low absolute sales. I mean, number 17 is less than 2,000.